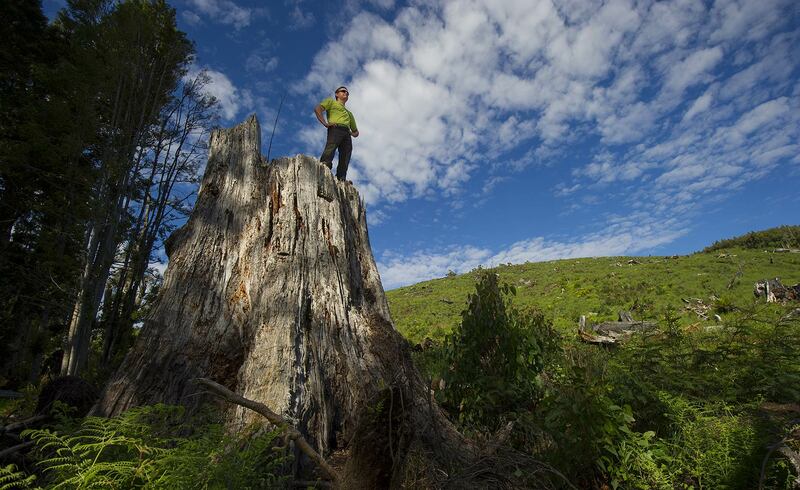 Tree Scientist Steve Sillett stands on the trunk of a massive eucalyptus tree felled by loggers. This tree was felled many years ago and stands next to a area clearcut in the past couple of years. Near Hopetoun Link Tasmania, Australia.